The final day of diving, the sun was shining and it was a sad morning for as all as we cleaned out the school och started packing all our belongings. When we got out to the mountain the divers for the day prepared to take the last pictures and videos of the cave and bringing back all the safety tanks to the opening. As the last divers went in to the cave the others started to take down base camp, tents was taken down, gear taken appart, compressors lifted up on scooters and the general mood was low since the week had come to an end. We all had a great week and the exploring of the cave has been a real success. Our first data indicates that we have mapped another 382 meters of new cave extending the total length to 1782 meters. For next years expedition we have new findings to explore and we are one big step closer to follow the water further in to the mountain. Our last evening was spent at the local restaurant Fjällripan that has cooked us lovely meals every evening and is truly recommended if you visit Stora blåsjön. We also want to thank the local Ica store that has sponsored us with food and coffee on the mountain all trough the expedition. The locals have been very supportive with help and scooters to make the logistics work, and they know their mountain better than we ever will. Thank you all for kindness, help and your time, without you it would never work. Big thanks to Mikkes skoteruthyrning for lending us his scooters. We had the opportunity to get help mapping the dry cave Bjurälvsgrottan with a team of very experienced climbers and spelunkers. The help has been amazing and the divers was given the opportunity to learn more about the dry cave and rope climbing during one of the last days. 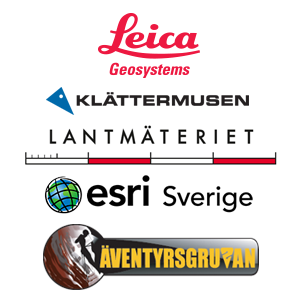 We also want to thank all our sponsors of Expedition Bjurälven 2015. The size of the expedition makes help and sponsoring crucial the keep the exploring going. 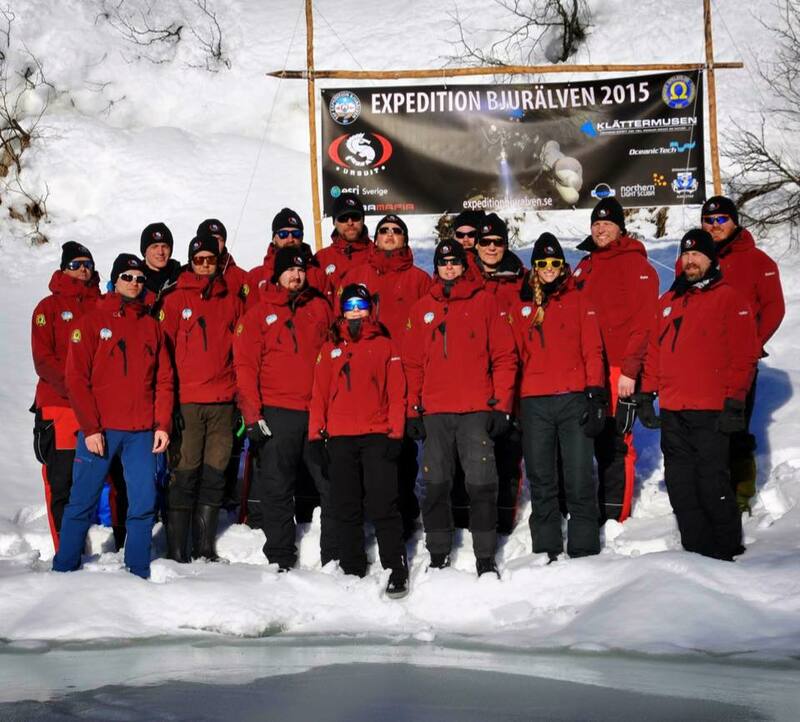 We could never do this on our own and are ever so grateful for everything everyone has invested and done for the expedition.